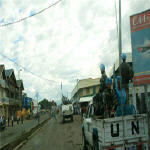 The United Nations peacekeeping mission in the Democratic Republic of the Congo (DRC) has extended an olive branch to the ethnic Rwandan Hutu militia involved in armed conflict in the east of the country, urging combatants to hand in their weapons and repatriate. 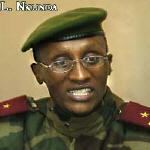 At the ceremony, former rebel military commander Bosco Ntaganda was named second-in-command of the joint military brigades. An international mediation group headed by former Nigerian President Olusegun Obasanjo walked out of the ceremony in protest. 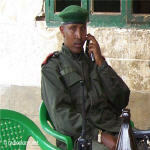 Ntaganda is wanted by the International Criminal Court on charges of using child soldiers during hostilities in Congo's Ituri province in 2002 and 2003. Plans to begin integrating rebels from the Democratic Republic of Congo into the army have faltered, highlighting the challenges of bringing peace to the troubled region. 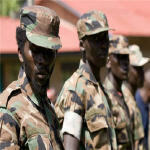 State-owned radio in Uganda reports that troops have arrested a top commander of the rebel Lord's Resistance Army. The report says Okot Odhiambo was captured in Congo's Garamba Forest as he tried to escape to the Central African Republic. 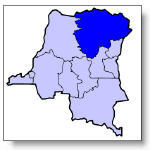 Rwandan and Congolese troops are continuing in the joint operation against the Democratic Force for the Liberation of Rwanda (FDLR) in east Democratic Republic of Congo, United Nations sources confirmed to MISNA, adding that little information is emerging on developments. 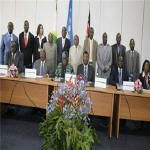 The UN-backed talks between the Democratic Republic of Congo (DR Congo) and eastern rebel group which began in Nairobi last month in a bid to end the bloody conflict has been suspended after the arrest of the rebel leader Gen. Laurent Nkunda. 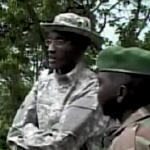 Warlord Laurent Nkunda, the eastern Congo rebel leader accused of numerous war crimes and crimes against humanity, has been arrested in Rwanda while fleeing a joint Congolese-Rwandan military operation to arrest him. Gen Laurent Nkunda, leader of the strongest rebel group in eastern Democratic Republic of Congo, has been arrested, the military says. 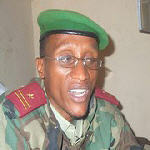 He was detained in Rwanda after resisting a joint Rwandan-Congolese operation to arrest him, officials say. 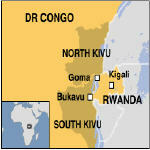 There is mixed reaction after residents in the restive town of Democratic Republic of Congo's North Kivu province heard announcement that Rwandan forces are in the country to fight rebels. This comes after Kinshasa invited Kigali troops to chase down the Forces for the Liberation of Rwanda rebels after a recent agreement last year between Congo President Joseph Kabila and Rwanda President Paul Kagame.